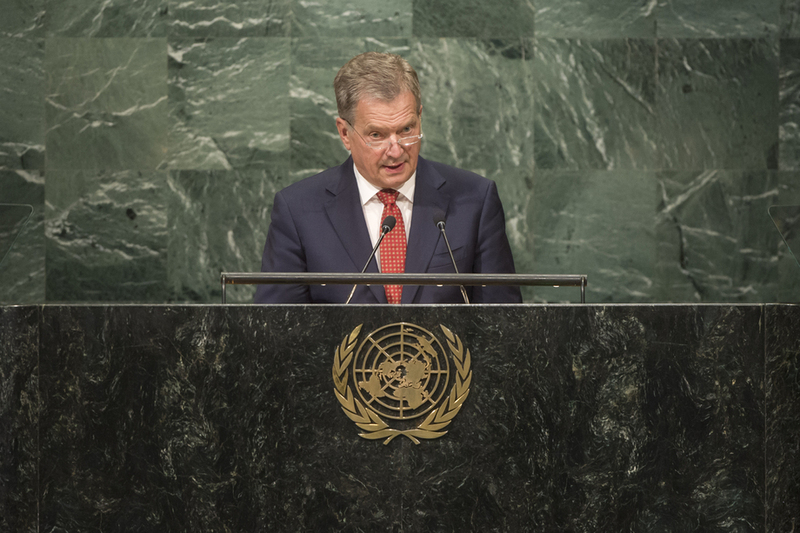 SAULI NIINISTO, President of Finland, said the international community must work together to find sustainable solutions to better control borders and safeguard the rights of refugees seeking international protection. Thousands of people were being displaced every day due to conflict, persecution and natural disaster or were seeking a better life. Stressing that current conflicts required urgent humanitarian action, he added that the underlying causes were long-term. Economic, social and political progress was vital in addressing them. Humanitarian action alone would never compensate for the inability to address the root causes of forced migration. The ultimate responsibility lay with the respective peoples and their Governments; local ownership was the key. The United Nations could help defuse latent conflict through prevention, mediation and preventive peace operations, he said. In that regard, there was a need to foster closer cooperation between different actors, such as traditional and religious leaders, and draw more participation from civil society. For its part, Finland, along with Turkey, had taken the lead in efforts to strengthen United Nations-based mediation and was pleased that progress was being made on this front, as evidenced by the recent adoption of the General Assembly resolution on mediation. Reflecting on milestones made in the area of sustainable development, he highlighted the 2030 Agenda for Sustainable Development and the Paris Agreement on climate change. The true test, however, would be in their implementation. His Government was focused on establishing partnerships with the private sector, universities and civil society, while encouraging all citizens to get involved. Gender equality and the empowerment of girls and women were key drivers in sustainable development and in combating climate change, he said, emphasizing those areas as vital in Finland’s rise from poverty to prosperity. Nevertheless, the United Nations had a long way to go to meet the target of gender equality.